I like to challenge myself to come out of my comfort zone and shoot subjects that test my agility as a photographer. 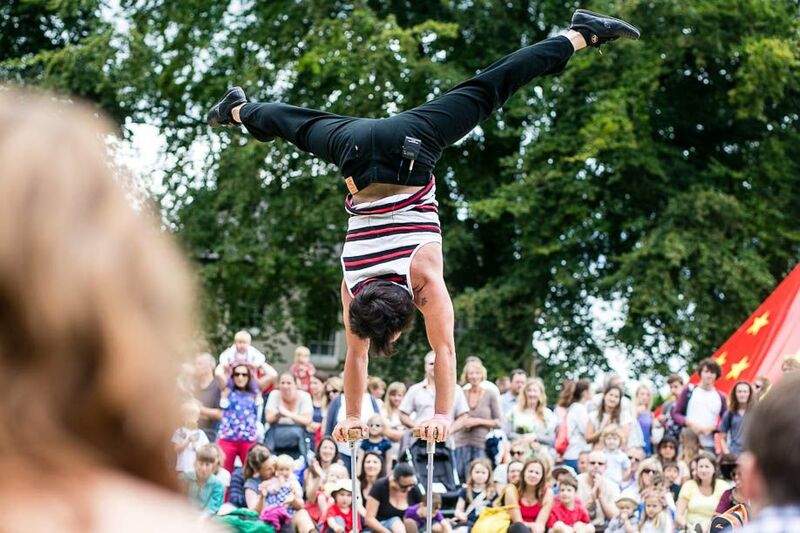 While sports can be fun, what really sets my heart racing are circus and street theatre performers. 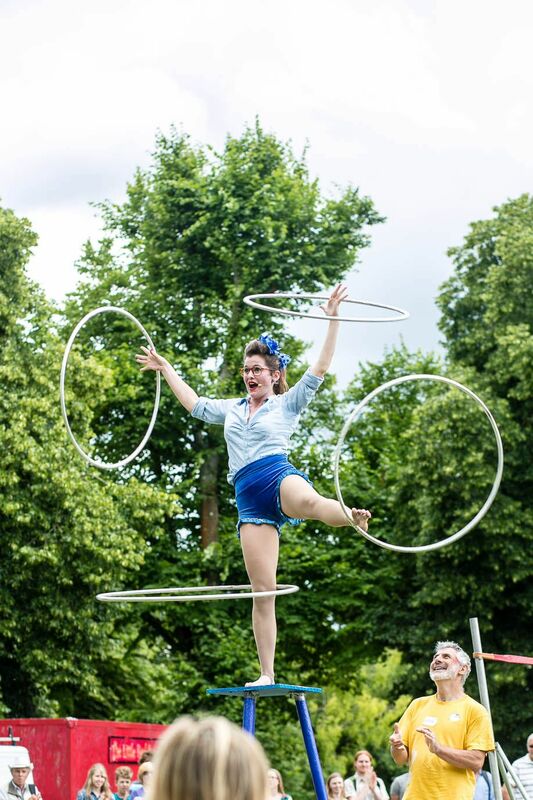 I have incredible childhood memories of visiting the circus and Hat Fair in Winchester and as an adult I find that I enjoy them on a whole new level: through my camera. 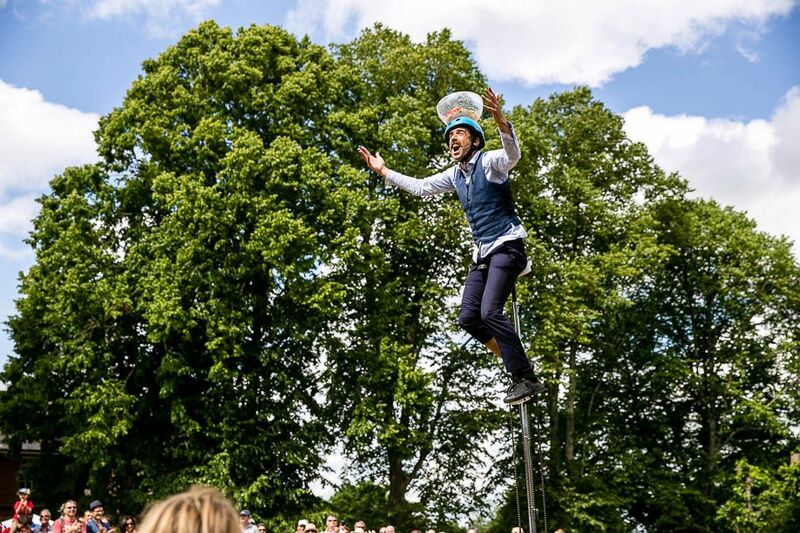 At Hat Fair I am treated to some of the most ingenious street performers from around the world in my home town. 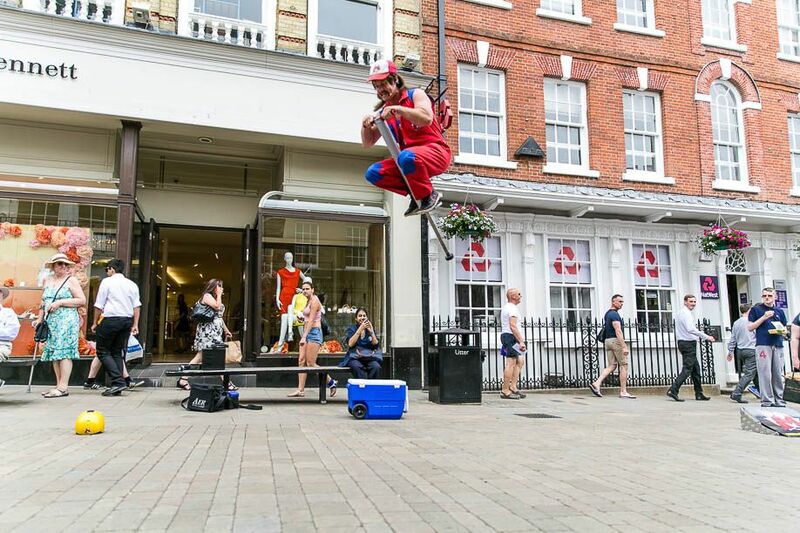 For one weekend the streets are filled with acrobats and physical comedians who perform their acts for the crowds who fill the city. 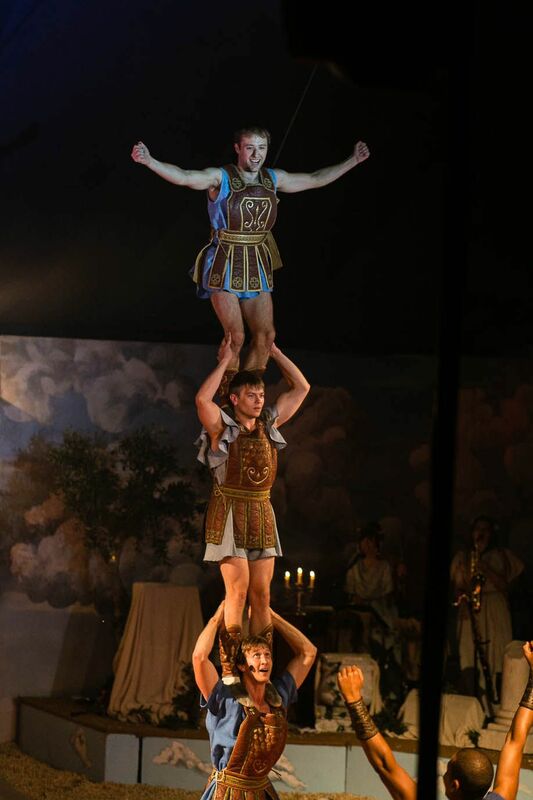 In contrast to the abundance of this street theatre festival, the circus is a scant hour and a half which punctuates our summer. 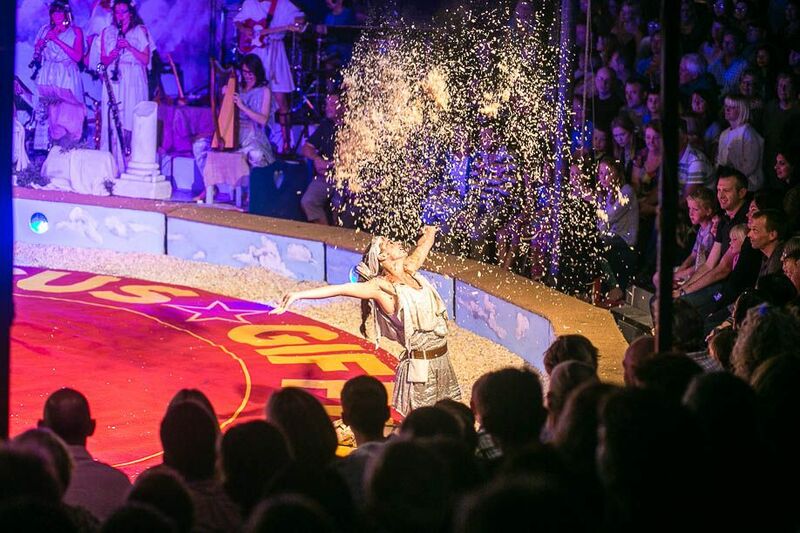 We visit Giffords Circus, a traditional village green circus which tours The Cotswolds in England each summer. Cocooned inside the tent you are transported to other worlds by world class performers. As a photographer these finite treats afford me the opportunity to capture something out of the ordinary. The fast and often unpredictable movement keeps me on my toes. While the acts have much in common the settings give different challenges for the photographer. Where you position yourself will have a bearing on the kind of shots you get. As the crowd generally sit in a semi-circle to the front of the performer. I prefer to sit to one side or another rather than directly in front so I have the audience in the back of my shot. If you have a good zoom lens you might want to stay at the back of the crowd and give yourself the freedom to move positions. One of the biggest challenges when setting my camera is rapidly changing light. The difference between full sun and a sudden cloud can be several stops on the shutter. Keep an eye on your light meter as you shoot sequences. I have the aperture set to around f4.5 to give me a little slack in my focal range whilst still having the backgrounds out of focus. My shutter tends to be anywhere from 1/250 for a slow act to 1/1250 for a fast-paced show. When shooting street theatre, I like to capture both the amazing feats on display and the expressions on the performers’ faces. You might find that audience reaction tells the story you’re looking for and often being near the back of the stage gives you a prime spot for capturing both the performer and people’s reactions. The circus brings different lighting challenges. 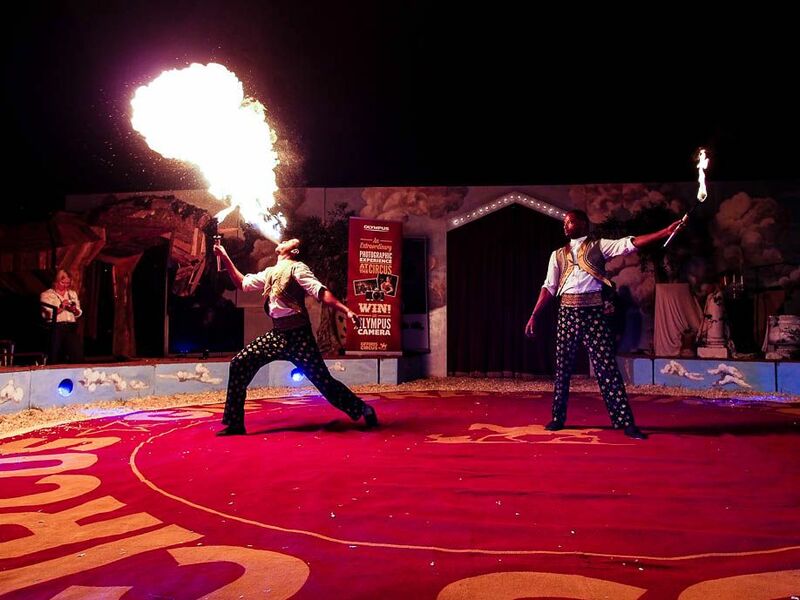 While street theatre has abundant but changing natural light, at the circus you will be reliant on stage lighting. Without the ability to add flash you’re going to want to push the ISO as far as you can without sacrificing image quality. At the beginning of the show while everyone is coming in I take a few test shots in the light so I can see roughly where I’m going to be. Typically I’ll have my aperture as wide as f2.8, my ISO from 1000 – 3600 (my canon 6D handles low light very well) and this allows me to have my shutter around 1/200 – 1/250. A shutter at this speed won’t freeze all movement but it will handle most acts without having to take my ISO all the way up to 3600. I prefer to sit either in the very front row dead centre or in the very back row. The front row gives me an uninterrupted view of the show and the back row allows me to a bit of movement to stand as well as adding the crowd into my images. 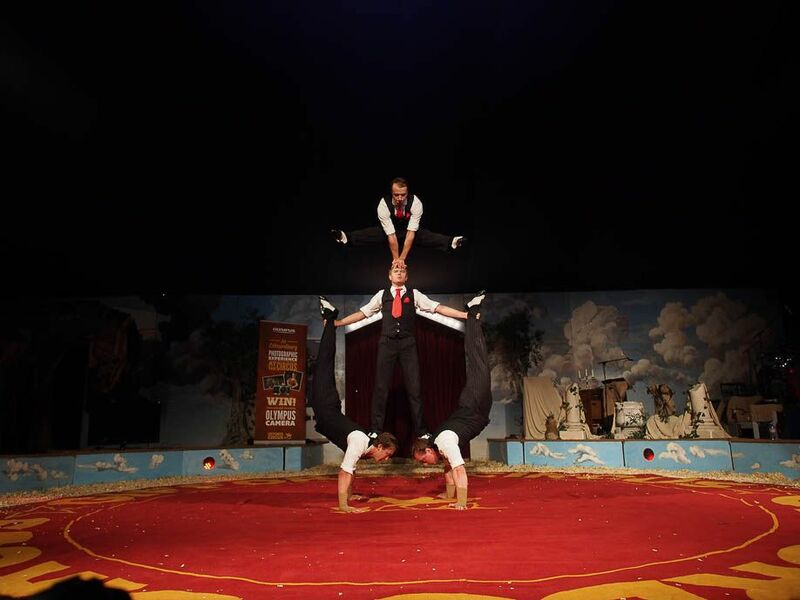 Circus acts seem to alternate between the fast-paced big trick acts and slower or comedic acts. You will want to be fast on your shutter to capture the fleeting moments that an acrobatic trick reaches its pinnacle, having your camera in burst or continuous shooting mode allows you to take a series of photos at these points. A zoom lens like a 24-70mm works well at the circus as you can take both wide and close shots from your ringside position. I have been known to change lenses mid-act and miss out on a great image because of it. 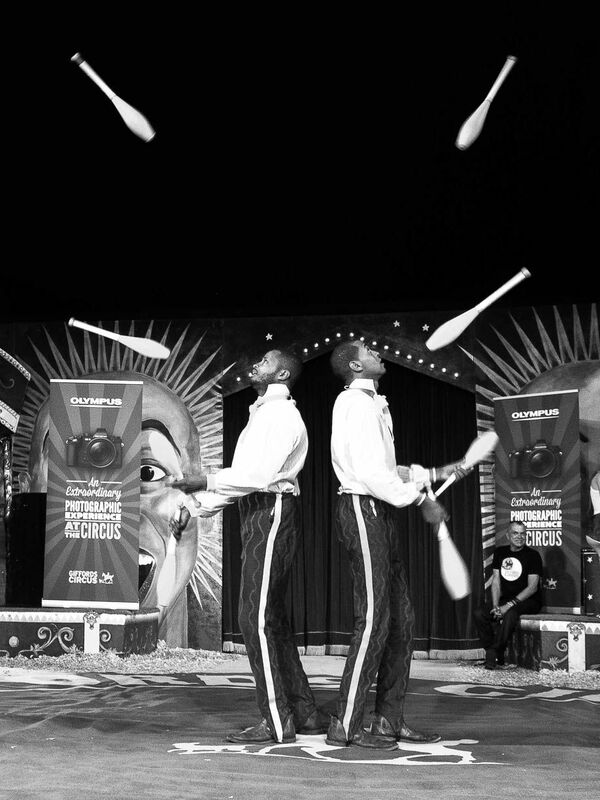 Some things you might want to consider when shooting at the circus are capturing the atmosphere, shooting wide to show the ring or full height of the tent and using the symmetry created by performers in your composition. Wherever you find your acrobatic theatre you know that you’re going to give your camera a good work out and come away with great shots. 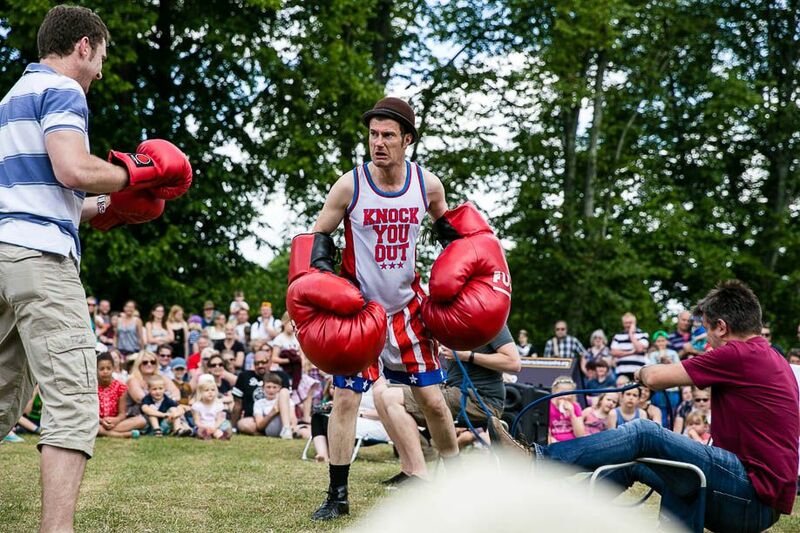 Street Theatre and The Circus offer you a ring side seat to an action packed shoot. Images for this post shot on Canon 6D and Olympus OMD with a range of lenses.